LUX – PTZ s.r.o. specializes in waste management technology. We develop and produce a wide range of hydraulic baling presses that differ from one another in their specific pressing force, hourly output, and pressing space size. We are a company with years of experience in the field, and we can thus reasonably declare that our products are operationally reliable, on a high technical level and conform to all safety regulations. We constantly strive to improve our products and related services, and we are thus always a bit ahead in meeting the demands of our customers. we provide free consultancy on customer requirements. we provide a 12-month warranty on all products. 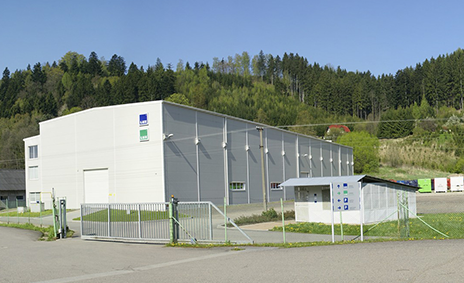 through authorized service centres, we provide service throughout the Czech Republic and Slovakia. We are able to design and completely equip spaces of any kind (spaces where the waste is generated, temporarily stored or from where it is transported away) and the most suitable equipment in terms of capacity. 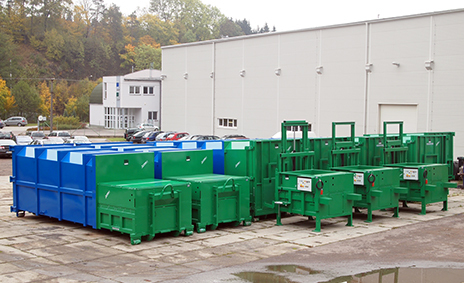 A comprehensive system of waste bins, containers and handling trolleys provides an optimal solution for primary waste sorting. A sophisticated solution for the movement of waste in buildings. Using gravity-fed garbage chutes saves a significant amount of handling time and significantly increases cleaning productivity. We produce waste presses in several output lines and different designs. 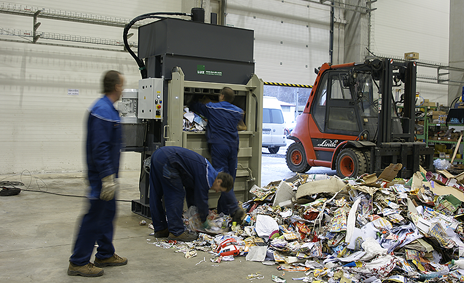 The particular press selected depends on the individual requirements for not only the hourly output of the waste being processed according to the type and number of waste groups, but also on the size of the resulting bale that will be handled. The offered accessories facilitate all handling of waste and compressed packages and increase the compaction of the material in the final bale. Other equipment needed based on project requirements is supplied from renowned foreign companies.